CodeBlue’s CIO Services offer mid-sized companies and organisations a unique level of strategic IT expertise to align their business and IT strategies. CodeBlue’s Virtual Chief Information Officer (vCIO) are experienced IT and business consultants who are focused on helping your organisation drive the maximum value from your IT investments. Our customers have found that while they may not be able to justify the role of CIO within their own management team, they definitely benefit from having access to our vCIO’s and the level of business and IT expertise they bring. If your organisation would benefit from the input, guidance and direction of an experienced senior manager who can assist on a project by project basis, then our CIO services will suit you. Areas of expertise offered by our vCIO team include: strategic planning, development of an IT infrastructure roadmap, evaluation and selection of point vendor solutions, IT security audit, business continuity planning, business process improvement and business intelligence. The first step for a vCIO is to understand where you are today in both business and technology terms. 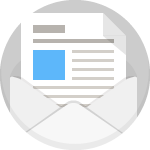 Following this, the vCIO will work with you to understand your business plans and the best technical strategies and solutions that will meet your business goals. From this a roadmap is established which your organisation can follow with confidence, knowing it has been designed to dovetail with your business goals. The work of the vCIO team is designed to match the services on offer from CodeBlue to ensure there are no gaps in the strategy or implementation. Once a plan has been developed, we don’t leave it there. We make sure our vCIO tracks the progress of your IT strategic plan against the goals agreed. Any issues arising, problems encountered or unexpected events can be addressed and the plan kept on track. We are committed to working with you to ensure the plans and projects are successfully delivered. Contact CodeBlue today to discuss how our CIO services can help you define and implement an IT strategy for your organisation. 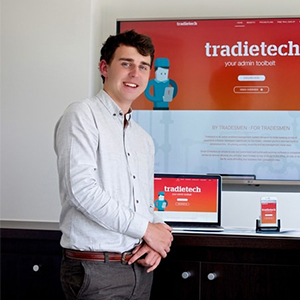 CodeBlue CIO Services instrumental in launch of TradieTech.